A seasoned attorney with deep experience as both a prosecutor and for the defense, Sharon Piper Donovan offers clients a unique skill set and insightful counsel, delivering consistently positive results in a variety of matters. 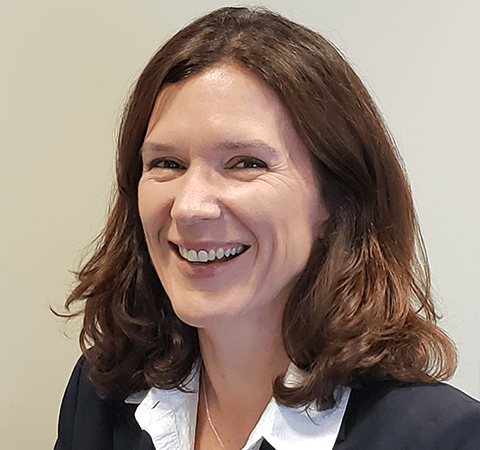 As a partner at Bardsley, Benedict + Cholden, she focuses her practice on general liability, specifically including the defense of white collar, dram shop, and sexual assault and harassment claims. On behalf of individual and institutional clients ranging from business executives, mental health professionals, and municipal employees, to those in the education sector, from elementary schools through colleges and universities, Sharon skillfully handles investigations into internal complaints of sexual assault, improper contact with a minor, and other related claims made by employees, students, and other individuals. She represents state employees in grand jury investigations and criminal matters, and corporations and individuals involved in government and other internal investigations, including Section 1983 claims. Her white collar criminal defense experience also encompasses representation of employees accused of criminal negligence. In the area of commercial liability, Sharon secured a summary judgment in the Philadelphia Court of Common Pleas and then successfully argued the case before the Pennsylvania Superior Court on behalf of her client, determining that a business owner does not owe a duty to visitors who are injured on a public roadway adjoining the owner’s property. Similarly, she obtained summary judgment against a plaintiff who left her client’s premises and was struck by a car on the road outside. In defense of dram shop claims, Sharon delivered a favorable result for a club owner against allegations that a visibly intoxicated patron caused injuries to the plaintiff, in addition to other related such as those involving claims that a restaurant served a visibility intoxicated patron. Sharon’s exceptional legal background includes 10 years as an assistant district attorney in Philadelphia. In this position, she worked in major trials as well as with victims of sexual assault. As a member of the insurance fraud and gun violence units, she conducted numerous grand jury investigations. She also investigated personal injury claims made against transportation and insurance companies for fraud and investigated government entities and their employees for criminal conduct. She was named a founding member of the Attorney General/District Attorney’s Gun Violence Task Force, where she utilized the grand jury process to indict and convict numerous criminals including nine city workers for RICO and theft. Prior to her position in the District Attorney’s Office, Sharon was a prosecutor in the Camden County, New Jersey Prosecutor’s Office and clerked in the Superior Court of Gloucester County, New Jersey. Sharon volunteers as a mentor with the Women of Tomorrow program, which mentors at-risk female public high school students in Philadelphia, and co-chairs the annual basketball tournament at her children’s school. Secured summary judgment in Philadelphia County CCP for the defendants and successfully argued the case to the Pennsylvania Superior Court in a matter of first impression when the Court held in Donald Newell v. Montana West, 2017 PA Super 15 (Jan. 19, 2017), that a landowner does not owe a duty to its business invitees who are injured on a public roadway adjoining the landowner’s property. Obtained summary judgment in a Philadelphia case involving a person who left the client’s premises and was struck by a car on Delaware Avenue. Successfully defended a club owner against allegations that a visibly intoxicated patron caused injuries to the plaintiff.